If you are looking for practical solutions to optimize your space and make it work, we’ve prepared a nice source of inspiration for you! 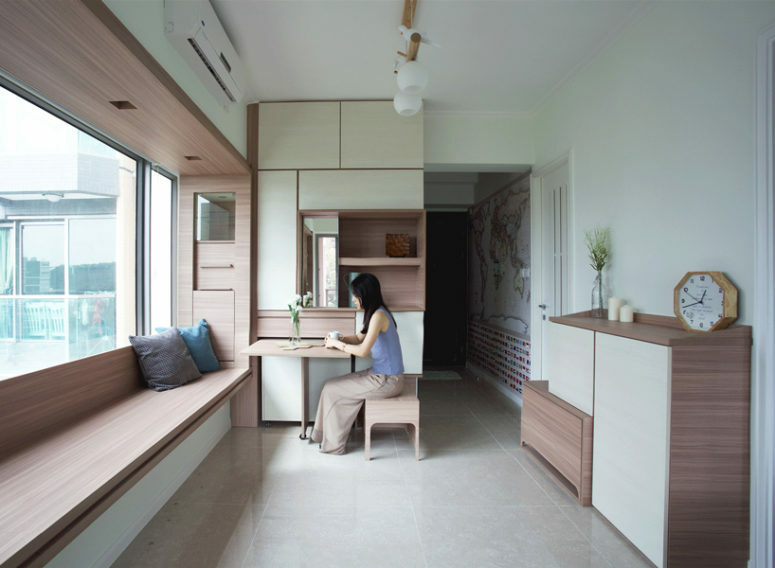 This 503 square feet apartment in Hong Kong was made functional by wrapping up the existing bay window with adjustable wooden cabinetry and furniture, which is transformable. Sim-plex created a harmonic atmosphere and maximized the views because the owners love the scenery. Several bay windows without obstruction let enjoy the views and bring outdoors indoors, and such windows became the spine of the apartment, all the rest was built around them. There was time in Hong Kong when most of apartments were built with such windows, and it’s historical, so the architects decided to celebrate this tradition highlighting them. 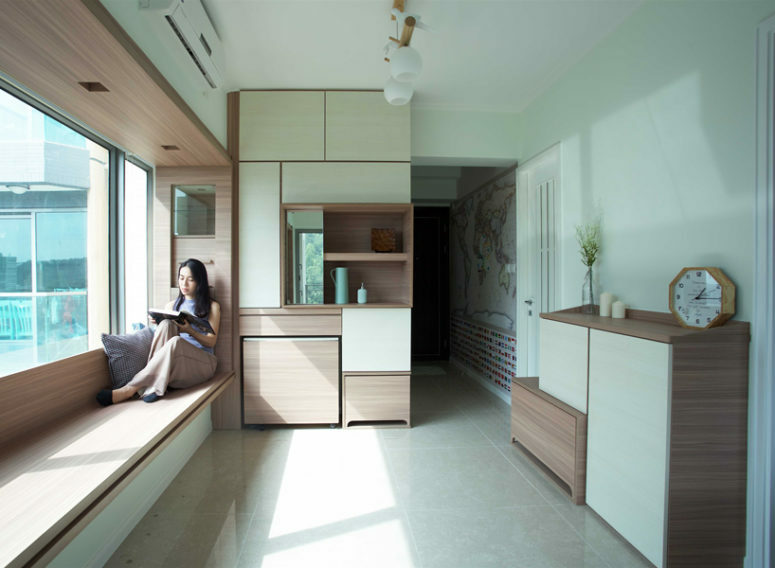 The living room features a large bay window, some bookshelves and shoe cabinets and there’s a very functional unit, which comprises an adjustable dining table, sliding bar table and two movable benches – this is a super functional idea to rock, owners of small dwellings, pay attention! 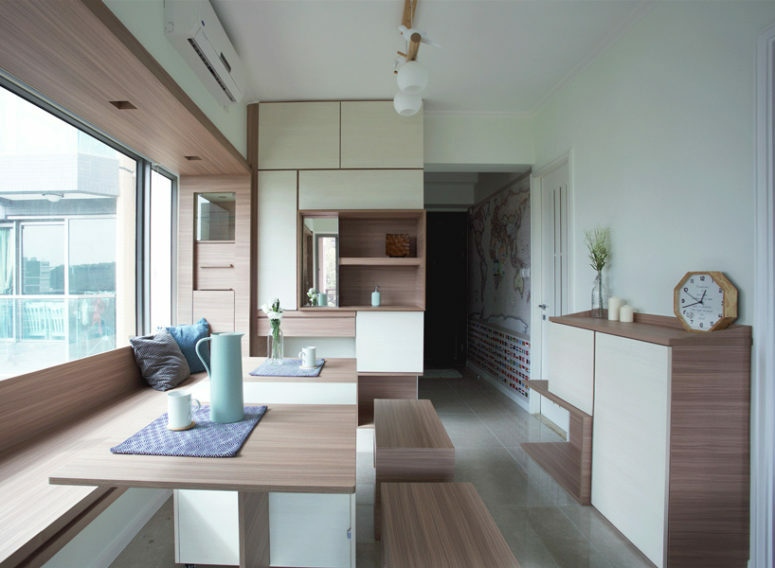 Thanks to this transformable piece the owners get a living, dining and working space in one, and this space can accomodate several people, not only two, so guests are welcome! 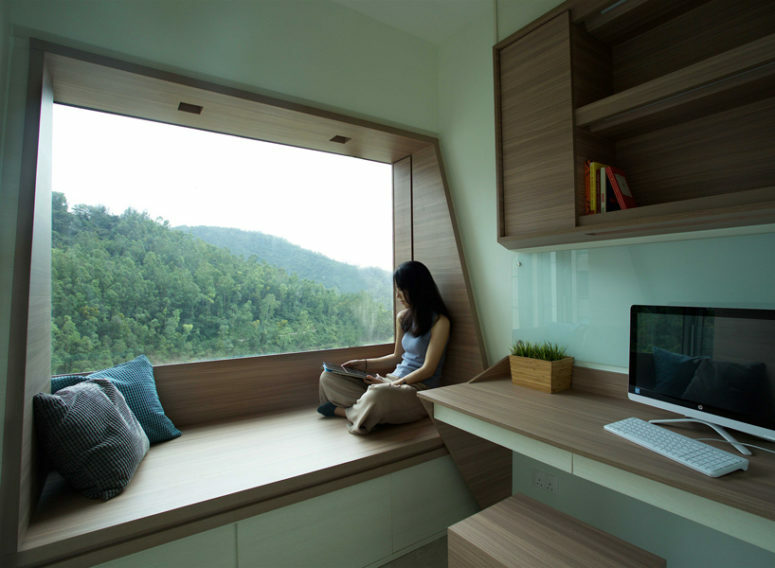 In the guest room, the bay window is transformed into a wooden resting platform, framing the surrounding green mountain scenery. The room also features a working desk, bookshelves and a glass magnetic notice board. There’s also a master bedroom, with a bay window for dreamy views, a platform bed and some built-in drawers. 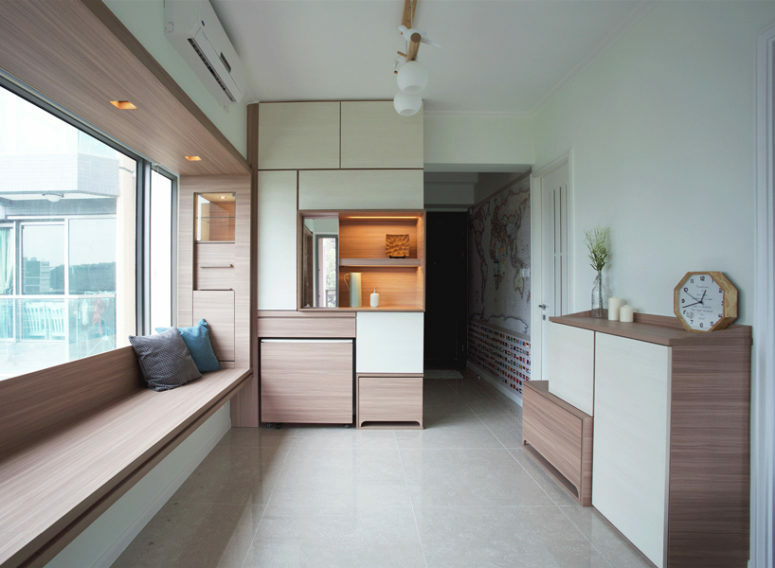 The decor of the apartment is minimalist, no patterns, only neutral shades and the plywood that clads the whole apartment is also neutral-colored, this was made to visually expand the space and make it more inviting.